Our successful track record and client base spans the breadth of New Zealand’s private and public sector. Campbell MacPherson has a successful track record spanning more than a decade delivering high quality corporate advisory services to New Zealand and Australian companies and public sector institutions. Selected completed assignments are highlighted below. Adviser in relation to the sale of Aqualine Products to Spartan Engineering. Adviser to Waikaia Gold in relation to a private placement. Adviser to Top Energy in relation to the divestment of its Fiji electricity sector assets. Adviser to McBreen Jenkins Investments in relation to the sale of McBreen Jenkins Construction to Transfield Services. Adviser to Holcim New Zealand in relation to various acquisition and divestment projects. Adviser to Higgins Group in relation to the acquisition of Calcon. Adviser in relation to the sale of Canterbury Coal to Bathurst Resources. Adviser in relation to the sale of Blakely Construction to Sicon. Adviser to the Bio-Strategy shareholders in relation to the sale of a 70% shareholding in Bio-Strategy to Rangatira. Adviser to Bennetts Group in relation to the acquisition of Jasons Travel Media. 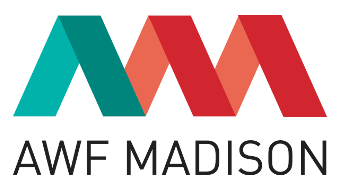 Adviser to AWF Group in relation to the acquisition of Madison Group. 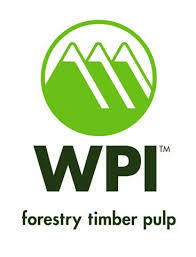 Adviser to Winstone Pulp International in relation to debt financing. Preparation of a Discussion Paper on the viability and suitability of waste to energy technology in Auckland. Adviser to Ravensdown in relation to an undisclosed project. Adviser to Auckland Council Property in relation to its solid waste and quarry investments. Adviser to New Zealand Steel in relation to an undisclosed project. Adviser to Mud House Wine Group in relation to NZ Extracts. Adviser to Hynds Group in relation to various projects. Adviser to Heartland Bank in relation to a commercial and banking review of an undisclosed business. Adviser to Fonterra in relation to various Glencoal Energy projects. Adviser to City Care in relation to a review of potential acquisition opportunities. Adviser to Christchurch Ready-Mix Concrete in relation to resource opportunities. Adviser to AWF Madison in relation to the valuation of equity securities issued under the Company’s employee incentive scheme. Adviser to the New Zealand Forest Owners Association in relation to Radiata Pine Breeding Company. Independent Adviser’s Report in respect of the full Takeover Offer for AFFCO Holdings by Talley’s Group. Independent Appraisal Report in respect of the proposed issue of New Bonds to Related Parties of the Company. Independent Adviser’s Report and Independent Appraisal Report in respect of the potential allotment of shares to Comvita in accordance with a convertible loan agreement. 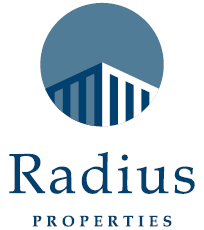 Independent Adviser’s Report and Appraisal Report in respect of the allotment of shares in relation to the proposed acquisition of 16 Park Avenue Limited by RIS Group. Independent Report in respect of the fairness of the proposed rights issue and underwriting arrangements. Independent Adviser’s Report in respect of the full Takeover Offer for Pulse Energy by Buller Electricity. Independent Report in respect of the fair value of 100% of NZ Farmers Livestock. Independent Appraisal Report in respect of the proposed sale of Mykris’ trading subsidiaries. Independent Adviser’s Report and Appraisal Report in relation to the allotment of shares to Hugh Green Investments and/or Business Bakery Limited Partnership. Independent Adviser’s Report and Independent Report in respect of the proposed acquisition of the business assets of SeaDragon Marine Oils. Independent Adviser’s Report in respect of the full Takeover Offer for Blue Sky Meats by NZ Binxi (Oamaru) Foods. Independent Report in respect of the offer of shares in Olympus Pacific Minerals Inc. under the proposed Amalgamation with Olympus Pacific Minerals NZ. Campbell MacPherson is a leading New Zealand corporate advisory firm founded in 2002. Our highly skilled team of experienced corporate finance professionals provide a broad range of transactional and advisory services and independent reports to our New Zealand and international clients.